Disclosure: This is a partnered post with Tangerine Bank. However, all opinions and views on this post are 100% my own. Tax time is quickly approaching. Are you ready for it? Tax time is a great time to look at your finances. We have created a list of things you should consider at this time. Part of your financial plan should include a saving and investing plan. You need to save money so that you have money to invest. Then you need to invest your money so that your money grows for you. The value of $1 saved today will not be the same in 10 – 25 years. Do you think a loaf of bread today will be the same in the future? You lose the purchasing power of your savings with each year. Have you been thinking about RRSPs and TFSAs? 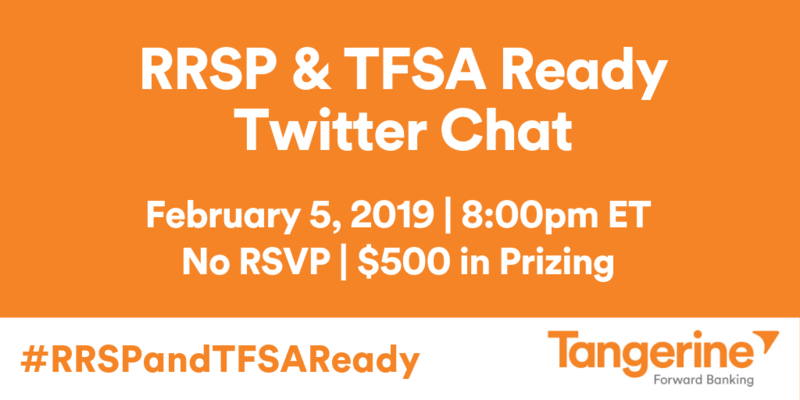 Eligibility: Anyone can participate in the Twitter Chat however only those who reside in Canada, excluding those who live in the province of Quebec, can win prizes. « Happy New Year. So did you make any resolutions?